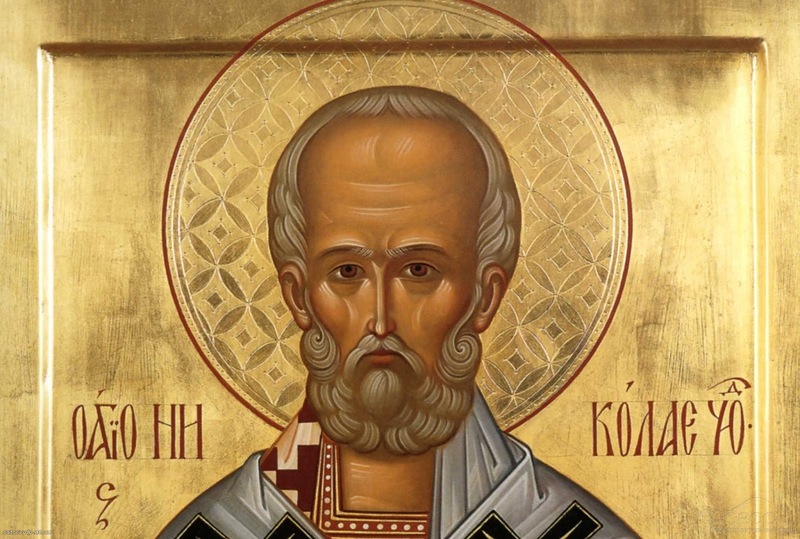 Saint Nicholas, the Wonderworker, Archbishop of Myra in Lycia is famed as a great saint pleasing unto God. He was born in the city of Patara in the region of Lycia (on the south coast of the Asia Minor peninsula, modern-day Demre, Turkey), and was the only son of pious parents Theophanes and Nonna, who had vowed to dedicate him to God. As the fruit of the prayer of his childless parents, the infant Nicholas from the very day of his birth revealed to people the light of his future glory as a wonderworker. His mother, Nonna, after giving birth was immediately healed from illness. The newborn infant, while still in the baptismal font, stood on his feet three hours, without support from anyone, thereby honoring the Most Holy Trinity. St. Nicholas from his infancy began a life of fasting, and on Wednesdays and Fridays he would not accept milk from his mother until after his parents had finished their evening prayers. In serving the Lord the youth was fervent of spirit, and in his proficiency with questions of faith he was like an Elder, who aroused the wonder and deep respect of believers. Constantly at work and vivacious, in unceasing prayer, the priest Nicholas displayed great kindheartedness towards the flock, and towards the afflicted who came to him for help, and he distributed all his inheritance to the poor. There was a certain formerly rich inhabitant of Patara, whom St Nicholas saved from great sin. The man had three grown daughters, and in desparation he planned to sell their bodies so they would have money for food. The saint, learning of the man’s poverty and of his wicked intention, secretly visited him one night and threw a sack of gold through the window. With the money the man arranged an honorable marriage for his daughter. St. Nicholas also provided gold for the other daughters, thereby saving the family from falling into spiritual destruction. In bestowing charity, St. Nicholas always strove to do this secretly and to conceal his good deeds. The Bishop of Patara decided to go on pilgrimage to the holy places at Jerusalem, and entrusted the guidance of his flock to St. Nicholas, who fulfilled this obedience carefully and with love. When the bishop returned, Nicholas asked his blessing for a pilgrimage to the Holy Land. Along the way the saint predicted a storm would arise and threaten the ship. St. Nicholas saw the devil get on the ship, intending to sink it and kill all the passengers. At the entreaty of the despairing pilgrims, he calmed the waves of the sea by his prayers. Through his prayer a certain sailor of the ship, who had fallen from the mast and was mortally injured was also restored to health. When he reached the ancient city of Jerusalem and came to Golgotha, St. Nicholas gave thanks to the Savior. He went to all the holy places, worshiping at each one. One night on Mount Sion, the closed doors of the church opened by themselves for the great pilgrim. 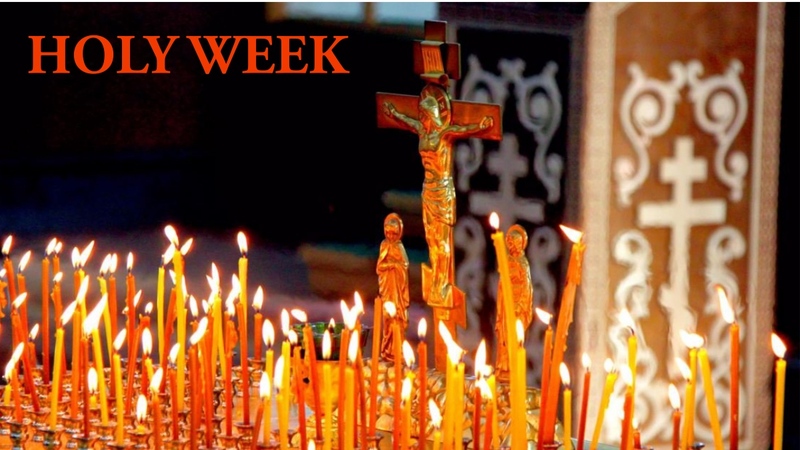 Going round the holy places connected with the earthly service of the Son of God, St. Nicholas decided to withdraw into the desert, but he was stopped by a divine voice urging him to return to his native country. He returned to Lycia, and yearning for a life of quietude, the saint entered into the brotherhood of a monastery named Holy Sion, which had been founded by his uncle. But the Lord again indicated another path for him, “Nicholas, this is not the vineyard where you shall bear fruit for Me. Return to the world, and glorify My Name there.” So he left Patara and went to Myra in Lycia. After his consecration as archbishop, St. Nicholas remained a great ascetic, appearing to his flock as an image of gentleness, kindness and love for people. This was particularly precious for the Lycian Church during the persecution of Christians under the emperor Diocletian (284-305). Bishop Nicholas, locked up in prison together with other Christians for refusing to worship idols, sustained them and exhorted them to endure the fetters, punishment and torture. The Lord preserved him unharmed. Upon the accession of St. Constantine as emperor, St. Nicholas was restored to his flock, which joyfully received their guide and intercessor. Despite his great gentleness of spirit and purity of heart, St. Nicholas was a zealous and ardent warrior of the Church of Christ. Fighting evil spirits, the saint made the rounds of the pagan temples and shrines in the city of Myra and its surroundings, shattering the idols and turning the temples to dust. In the year 325 St. Nicholas was a participant in the First Ecumenical Council. This Council proclaimed the Nicean Symbol of Faith, and he stood up against the heretic Arius with the likes of Sts. Sylvester the Bishop of Rome, Alexander of Alexandria, Spyridon of Trimythontos and other Fathers of the Council. St. Nicholas, fired with zeal for the Lord, assailed the heretic Arius with his words, and also struck him upon the face. For this reason, he was deprived of the emblems of his episcopal rank and placed under guard. But several of the holy Fathers had the same vision, seeing the Lord Himself and the Mother of God returning to him the Gospel and omophorion. The Fathers of the Council agreed that the audacity of the saint was pleasing to God, and restored the saint to the office of bishop. Even during his life the saint worked many miracles. One of the greatest was the deliverance from death of three men unjustly condemned by the Governor, who had been bribed. The saint boldly went up to the executioner and took his sword, already suspended over the heads of the condemned. The Governor, denounced by St. Nicholas for his wrong doing, repented and begged for forgiveness. Witnessing this remarkable event were three military officers, who were sent to Phrygia by the emperor Constantine to put down a rebellion. They did not suspect that soon they would also be compelled to seek the intercession of St. Nicholas. Evil men slandered them before the emperor, and the officers were sentenced to death. Appearing to St. Constantine in a dream, St. Nicholas called on him to overturn the unjust sentence of the military officers. Having reached old age, St. Nicholas peacefully fell asleep in the Lord. His venerable relics were preserved incorrupt in the local cathedral church and flowed with curative myrrh, from which many received healing. In the year 1087, his relics were transferred to the Italian city of Bari, where they rest even now (2016/2024 AD).